Here follows a report by Dr Encarna Montero Tortajada, a post-doctoral researcher from Valencia, who in 2015 was awarded a £3000 scholarship to conduct research in the UK. From the 7th of January 2016, I spent forty days in London conducting research on Spanish art in the United Kingdom, thanks to an ARTES scholarship granted last year. The first week was almost entirely consecrated to preparing the talk “Architectural Practice in Spain, 1370-1450: Documents, Drawings and Historiography”, delivered on the 18th of January at the Courtauld Institute. After that, I conducted my research in the Warburg Library and in the Courtauld Library, where I found new and very useful papers about several historiographical problems within my field of academic interests. Moreover, the stay was a superb opportunity to attend lectures and seminars related to medieval art, for example Mary Carruthers’ seminar on the Art of Invention in Cambridge (“Vividness, Evidence, Proof: the Role of Visions”), and Lina Bolzoni’s talk about Memory Palaces in the Renaissance at the Courtauld Institute. Besides, I was kindly invited by Nicola Jennings and Tom Nickson to join their lessons in the V&A about Spanish Medieval Art and Gothic architectural drawings, respectively. I could visit, too, the medieval collections of the British Museum and the National Gallery, and prominent architectural monuments such as Ely Cathedral and Saint Alban’s Abbey. Furthermore, in addition to the aforementioned scholars, I met researchers as Susie Nash, Barry Taylor, Rose Walker and Kirstin Kennedy, who all gave me sound advice about my work. by Robinson to examine the Altarpiece of Saint George, and his diagnosis was key: the piece was deemed worthy of its asking price. The reports of Juan Facundo Riaño, who wasn’t directly involved in the issue, reveal also a whole world of antique dealers, painters, diplomats and connoisseurs operating in Spain. The reading of bibliography related to the art market in mid 19th-century Europe completed this survey of the vicissitudes of the Saint George Altarpiece. I hope that the outcome of this research will be published soon in a forthcoming paper. This entry was posted in ARTES, Uncategorized and tagged Coll & Cortes, Dealers, John Charles Robinson, Juan Facundo Riano, scholarships, Uncategorized, Valencia, Victoria and Albert Museum on April 7, 2016 by tomnickson2013. Juan Facundo Riaño Essay Prize: sponsored by the Embassy of Spain in London, this prize is awarded to the best essay on any aspect of Hispanic visual culture. Scholarships for doctoral or post-doctoral students in Spain, Portugal or Latin America who wish to study in the UK or Ireland: one scholarship of £3000 is available to non-UK students who wish to travel to the UK or Ireland for the purposes of study. This entry was posted in ARTES, Scholarships, Spanish Embassy and tagged 2016, Coll & Cortes, Essay prize, scholarships, Spanish Embassy on November 18, 2015 by tomnickson2013. 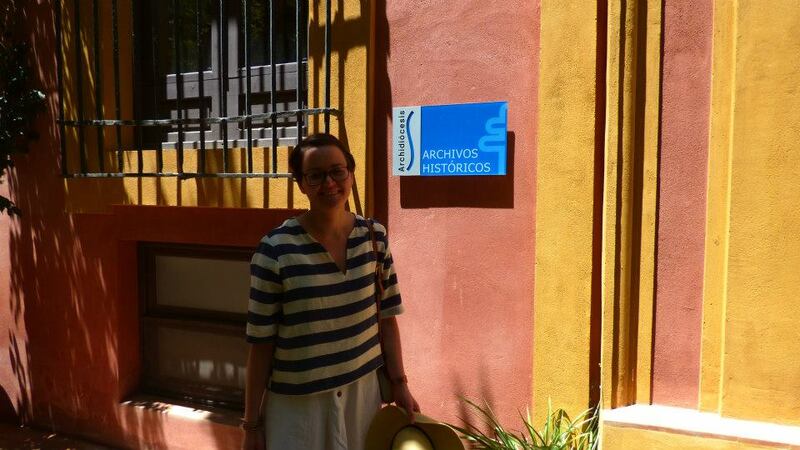 The ARTES Coll y Cortes Travel Scholarship allowed me to complete archival research central to my doctoral thesis. Textual sources have been indispensable to my investigation into thirteenth- and fourteenth-century Castilian altars because many of these altars and their furnishings have been lost or disassembled. By carefully combing through primary sources — many of which have not been published in full and are hidden away in cathedral archives — I have been able to reconstruct a detailed picture of the thirteenth- and fourteenth-century altar from this kingdom. Inventories, wills, receipts, statutes, and letters both describe the objects that made up the altar at this time and point to its various usages. More than a liturgical focal point, altars were sites for the expression of the surrounding communities’ identities. This identity was reflected, for instance, by personal items bequeathed to the altar or through furnishings ornamented with political or royal symbols. In early 2015, I spent several weeks in the archives of Burgos and Toledo cathedrals. Although I was able to find useful primary documents at these sites, my thesis would not have properly represented Castilian medieval art without close investigation into Seville cathedral’s thirteenth- and fourteenth-century altars. 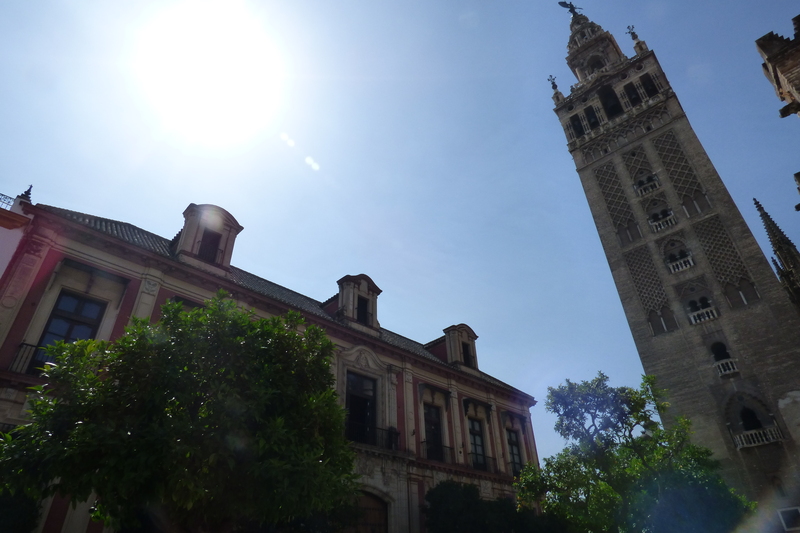 The ARTES Coll y Cortes Travel Scholarship allowed me to spend three weeks researching in the archive of Seville cathedral. It was especially useful to spend time looking through early modern collections of cathedral statutes in which medieval regulations are cited. The Estatutos y Constituciones de la Santa Iglesia de Sevilla, for instance, contained notes in its margins that identified the medieval sources of some of its entries. Viewing this source firsthand has allowed me to engage more critically with its usage in current scholarship. It was similarly of value to my project to read through a late fourteenth-century set of regulations for the cathedral’s original royal chapel, which described the ceremonies performed around the altar of this important royal tomb. It was also very instructive to conduct this archival research while regularly visiting the cathedral’s works of art. 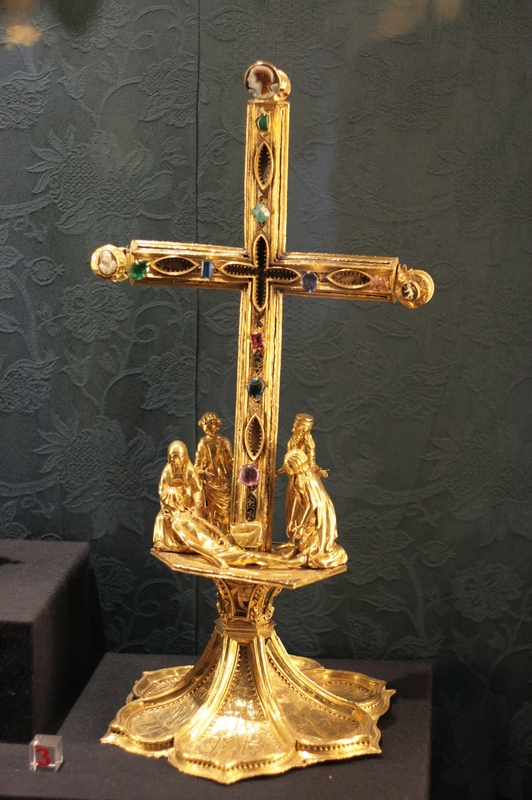 For instance, a striking reliquary cross in the cathedral’s collection has often been connected to documents in the archive that seem to allude to it. Reading through such documents and then visiting the work in person allowed me to appreciate the problems set forth by these textual sources. Without the help of this travel scholarship, my dissertation would have been limited to northern and central Castile and would have fallen short of capturing the full range of cultural and artistic transformations taking place in this kingdom during the thirteenth and fourteenth centuries. By comparing extant objects with contemporary descriptions found in documents from the archive of Seville cathedral, my PhD project will provide a comprehensive picture of the medieval Castilian altar and its furnishings so far missing in scholarship on medieval Iberian art. This entry was posted in ARTES, Scholarships and tagged 2015, Artes, Coll & Cortes, Doctor of Philosophy, scholarships, Travel on October 28, 2015 by tomnickson2013.